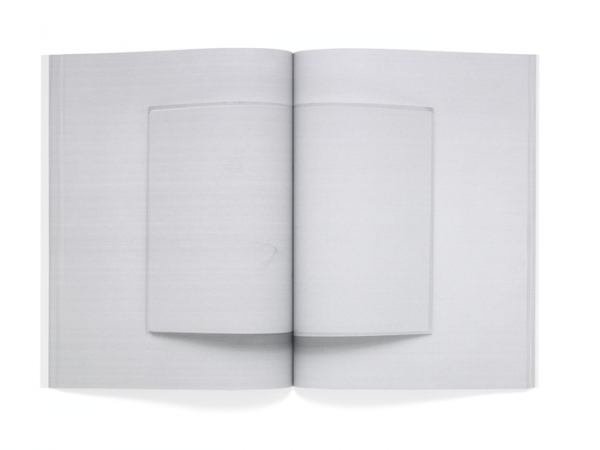 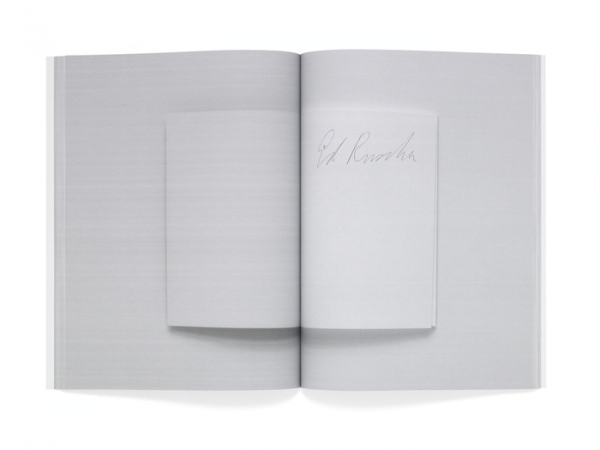 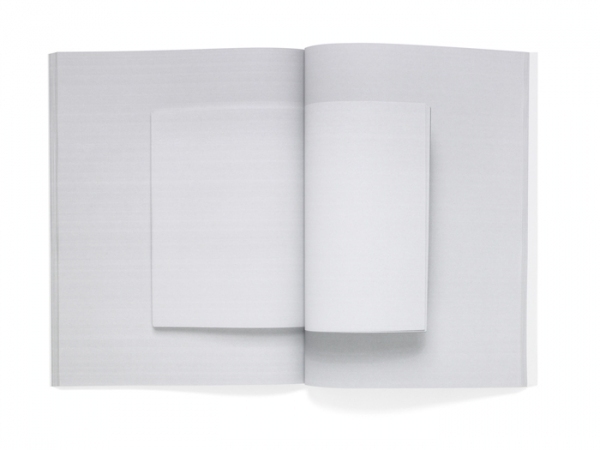 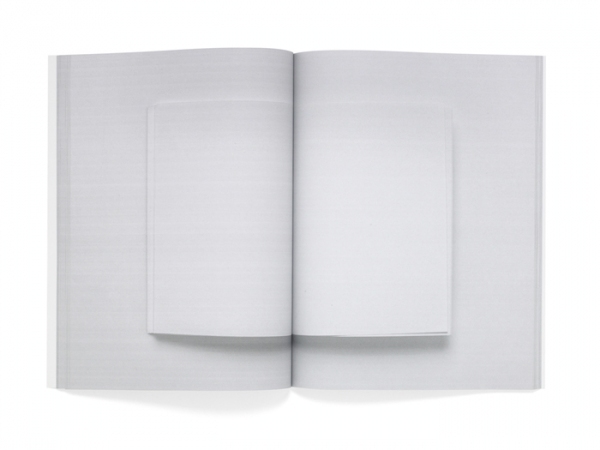 Photographs of all the blank spreads from Edward Ruschas artist books, reproduced actual size, in the sequence they fall within each book in the order published. 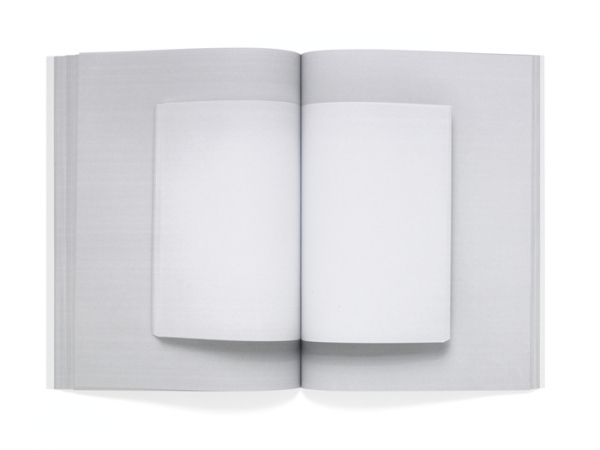 First edition of 94 copies. 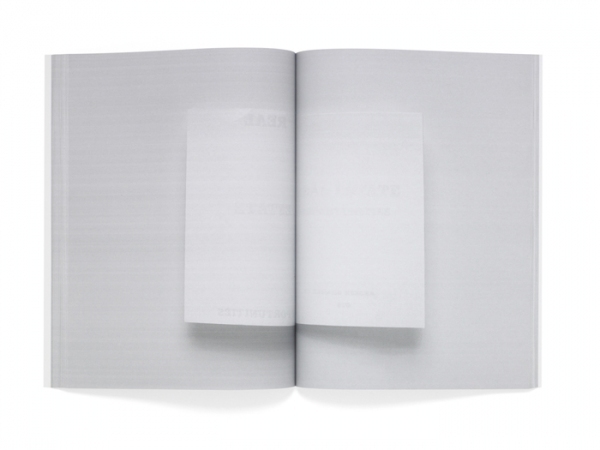 Each book presented opened on a different spread at New Beginnings curated by Sinziana Ravini at Öppet Hus Iaspis Stockholm.